We have been in the business for 14 years. It actually began quite by accident!! For our 25th Wedding anniversary we re-did our vows and had a garden party in our yard. That particular summer our area was in a high – extreme fire danger level due to the unusual hot dry summer. At this particular time we could not access a tent of any size, shape or description. On top of this scenario we were planning a “surprise” 50th Wedding Anniversary party the following year, for my husband’s parents, and knew that having a tent would be imperative as it was going to be held in our yard as well. Thanks to my husband’s ability to source things out, and we both have the “can do” and “no is not an answer” attitude, he stumbled onto Warner Shelters in Calgary Alberta. We purchased our first 3 tents and as they say “the rest is history”!!! I had never even considered having my own business but after a couple years of just renting the tents we were getting more and more requests for other rental items. I began with tables and chairs and then branched out into linens and chair covers. Three years ago I was able to purchase another company that had dish and table ware inventory. This just added the right touch to go with everything else. The building of our inventory never seems to stop. We have gone from our first 3 tents up to 15 of our own and I have four tents that we are under contract to manage and maintain for a corporate client. We have a very unique situation. We are geographically in the bottom south east corner of our province of British Columbia. 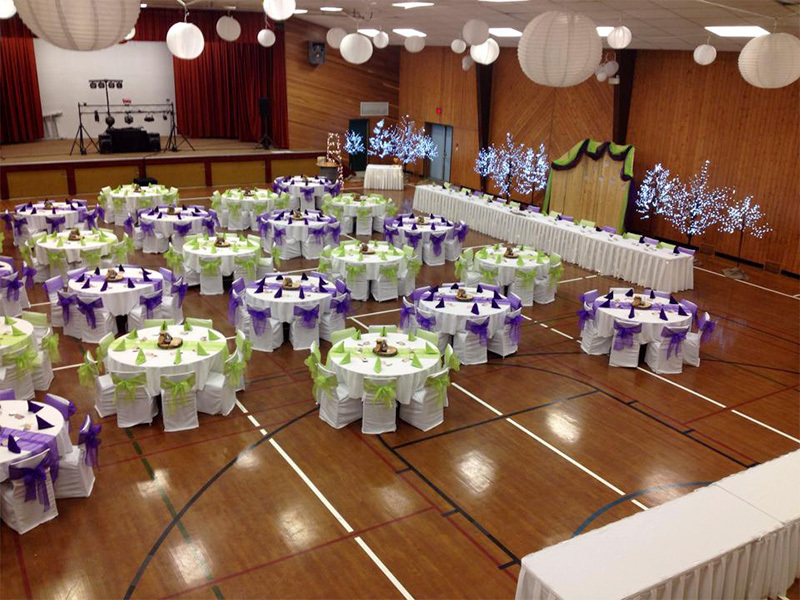 We do have a party rental store about an hour west of us and the closest larger centre east of us is 2-1/2 hours away. For some people travelling this distance is not an option because it can add extra time onto an already busy time for them. And of course for the clients there is always the added freight and delivery costs added when bringing items in for their event. Our client base area is only within our valley, which is a 100 square km radius and expanding. This keeps us extremely busy throughout the summer months, we can have as many as six events over a weekend, and like other rental stores we too have our slow times. With us being the only party rental store in the valley customer service is the key. If I have to be out of town when I have a small event on then I have capable people in place to take over for me and I am NEVER out of town when I have a large event taking place. Large or small event I am always “hands on” to make sure everything runs smoothly. I have gone the extra step to ensure that my clients have all of both mine and my husband’s contact numbers and they are all aware that we take our cell phones with us where ever we go. We take great pride in the fact that “we are only just a phone call away”!! We always go the extra mile for our clients. 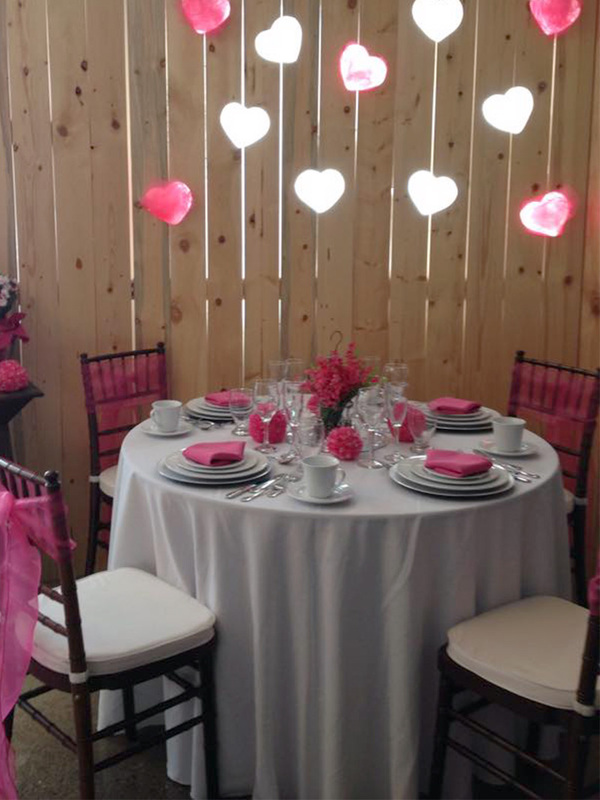 It does not matter whether they are one of our large corporate clients or a couple planning their big wedding day. Each and every client is very important to us and we treat them that way. We do everything possible to help them have the event they are dreaming of and staying within their budget if they are working with one. If there are certain items that clients would like and it is feasible for me to rent it out again then I usually just bring it in. In our area sub-renting, depending on the item, can be very costly. The rental price may be great but by the time you add in the freight and delivery charges or the time to travel to pick it up and return the item, it just becomes too costly. Fernie has become a major destination point for weddings over the past couple of years. The demand for our services is becoming more and more. We not only have the private clients that we deal with but we have several major corporate clients as well. I am yearly booked for things like Wapiti (our local music festival), Relay for Life, our seniors complex has a summer picnic for the residents and their families every summer and of course there are numerous other events that we attend. With some of these events we even go as far as donating some or all of the rental equipment the client needs. This is our way of helping in our community as sometimes our time line just does not allow us to psychically be there. As for our “slow season” sometimes I wonder when that really is. My husband does snow removal in the winter months and my employees usually help with that. This in return helps us to maintain employees year round. I am very fortunate that my husband and I can share employees. My tents may not go out very often in the winter but the rest of my inventory does go out at times so I do still need employees for delivery and picking up of orders. This slower time of the year is when we can sit down and take a look at the past year we have had. We take stock of inventory, do any repairs and maintenance that is required and take note of what we may need for inventory for the up and coming year. To help beef up our slow time we have decided to diversify even more. 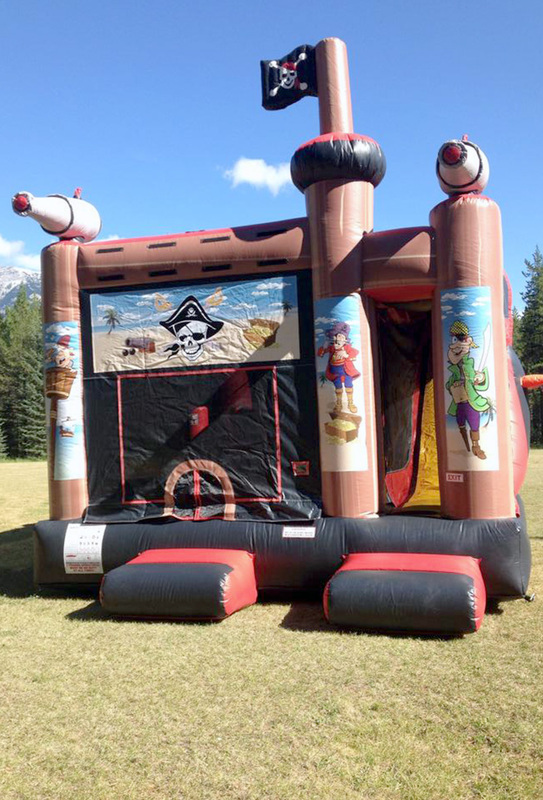 We have just added “Bouncy Castles” to our ever growing inventory!! We are also in the process of adding disposable party items as well. Neither of these areas are being address in our area and we are very confident that these two areas just go hand in hand with the tents. When things are extremely busy for us and it seems like there is “no light at the end of the tunnel” it can be extremely demanding, exhausting and frustrating, but then things do eventually slow down. This is when we can look back at what an amazing year we have had. All the wonderful people we have met with, whether they are new clients or existing clients. We can be proud of the great events that we have helped bring to life for our clients and when we get an invite to the annual event calendar from a new client we can simply say “SCORE” we did it again!!! It is our pleasure to participate in local events such as the Wapiti Music Festival, July 1st Celebrations in Fernie, Rocky Mountain Village Annual Summer BBQ, and the Annual Crow’s Nest Past Lifestyle where we won Best Booth in 2013! Of course, we also enjoy being a part of all the area weddings and celebrations where we provide our services. Our company wouldn’t be here without the community and it’s our goal to give back. We are proud to be supporters of Relay for Life™ in its fight against cancer. We also provide the tents for the Rocky Mountain Village Annual Summer BBQ. 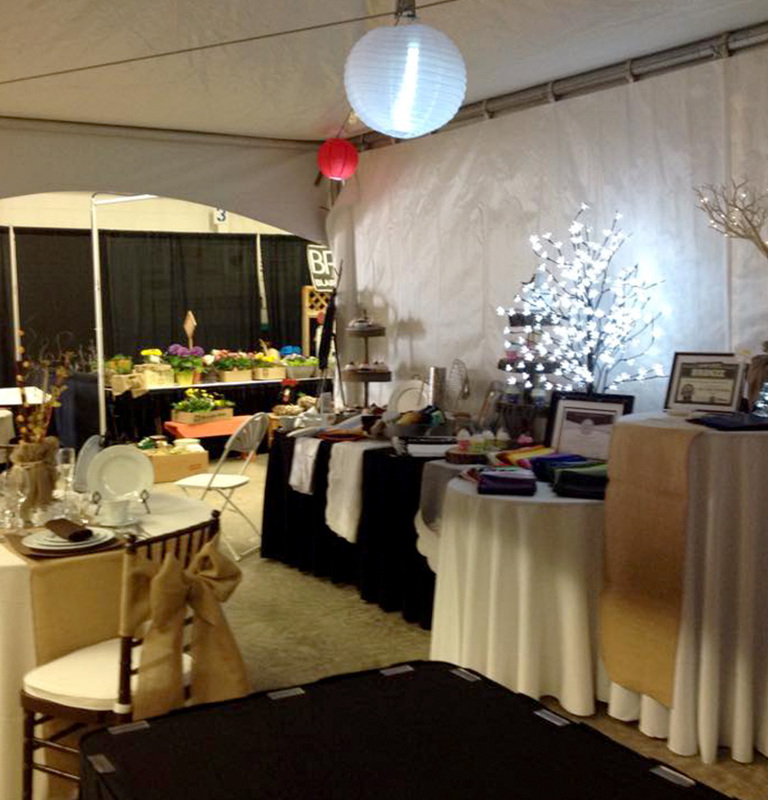 Contact a caring local company in Fernie, British Columbia, for all of the tent and party rental needs for your event.